Led by Lynnette Lounsbury, Drs Lisa Clark Diller, Lindsay Morton and Brad Watson from the Discipline of Humanities and Creative Arts, as well as student Stephanie Barber, ate just a small amount of rice, flour, lentils, chick peas, beans, fish and oil and drank just water. 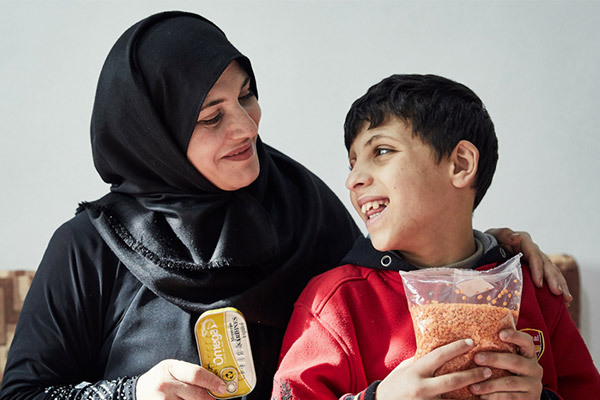 The Ration Challenge by Act for Peace, an international aid agency of the National Council of Churches in Australia, provides food, medicine and education for refugees and supports other communities around the world threatened by conflict and disaster. Held during Refugee Week, the challenge runs from June 17 to 24 this year. Take the Ration Challenge and show refugees you are with them, not against them. Holly Baensch is a Bachelor of Arts (Communication) student at Avondale College of Higher Education.